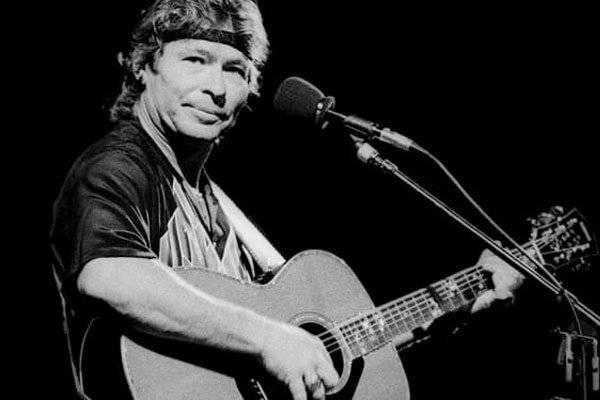 John Denver was born on December 31, 1943, in Roswell, New Mexico. After dropping out of college, he traveled to New York City and began his music career. Peter, Paul and Mary recorded his “Leaving on a Jet Plane” in 1967 and his, “Rocky Mountain High,” became an official song of the state of Colorado. Denver’s had other numerous hits including Take Me Home, Country Roads, Sunshine on my Shoulders, Annie’s Song and This Old Guitar. 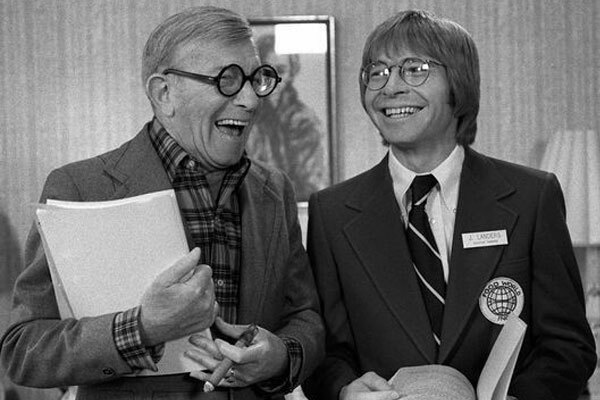 In 1977, Denver made his film debut in Oh, God!, costarring George Burns. Even though the film was a minor box-office hit, Denver’s acting career was thereafter limited to television until 1997, when he starred in Craig Clyde’s outdoor adventure film Walking Thunder. John Denver and the Muppets (1980), The Christmas Gift (1986) and Higher Ground (1988) are among the numerous television specials in which he either hosted or starred. 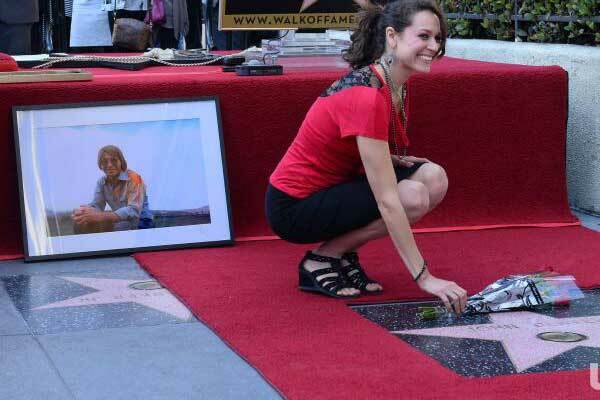 As a renowned environmentalist and humanitarian, Denver used his music and fame to take a stand for environmental and humanitarian causes. Groups John championed included the National Space Institute, the Cousteau Society, Save the Children Foundation and Friends of the Earth. 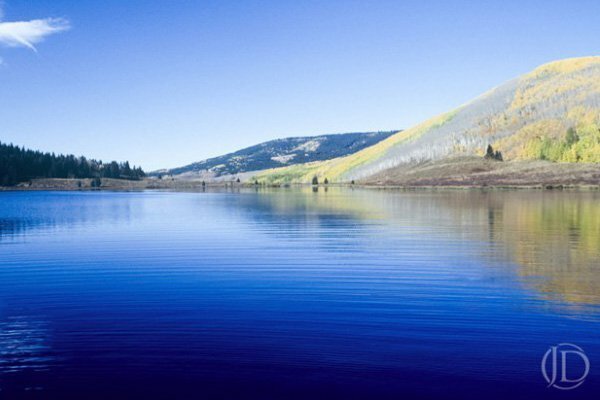 In 1976, Denver cofounded the Windstar Foundation, a non-profit wildlife preservation agency. In addition to founding the World Hunger Project in 1977, he was personally appointed by President Jimmy Carter to the commission on World and Domestic Hunger. He became a chair member of the National UNICEF Day in 1984. 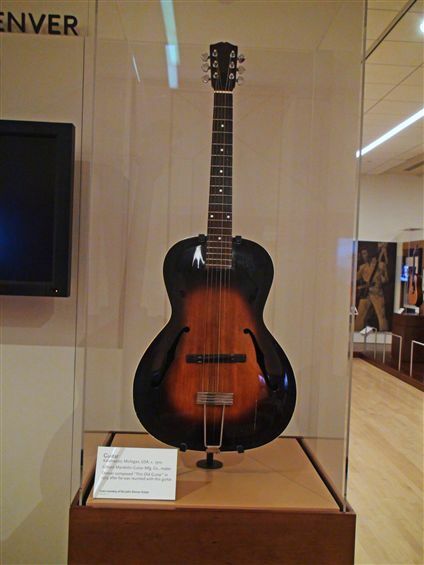 John Denver’s first guitar was an archtop, built in 1910 that his grandmother use to play when she was a girl. It has a lovely, woody tone when played. 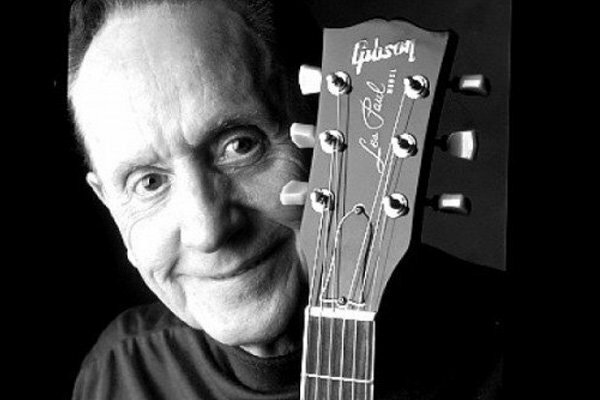 A few years later John he was given a lovely Gibson B-45-12N twelve string guitar. It had a natural finish and came with an unusual pickguard, which leads me to believe Denver was not the original owner. It is also believed at this time Denver owned a Les Paul, although there has never beenphotos of John with this guitar to confirm the rumor. 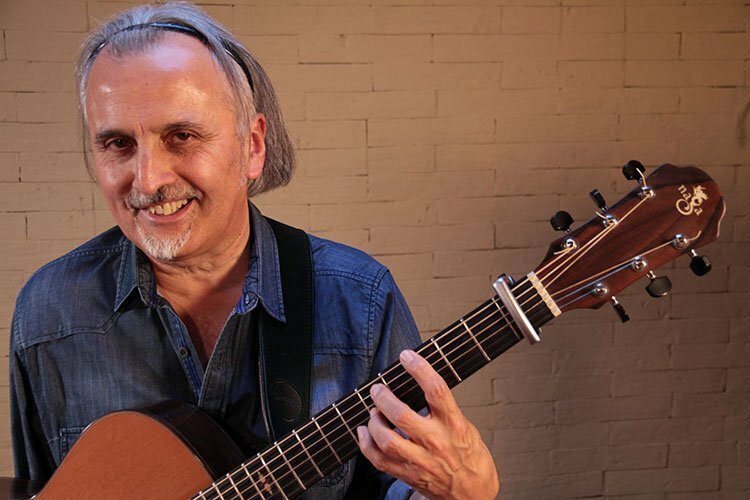 When John was in his third year of high school he had learned enough about guitar and singing to begin playing in local clubs. 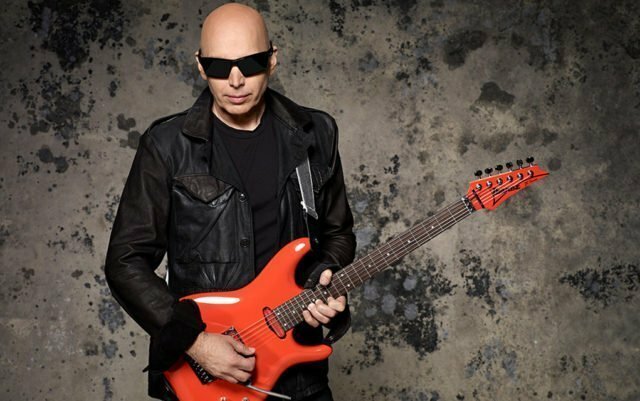 It was this year that he took his father’s car and headed to California in hopes of starting a career in music. His father flew a jet aircraft from Ft. Worth, Texas to retrieve his son. 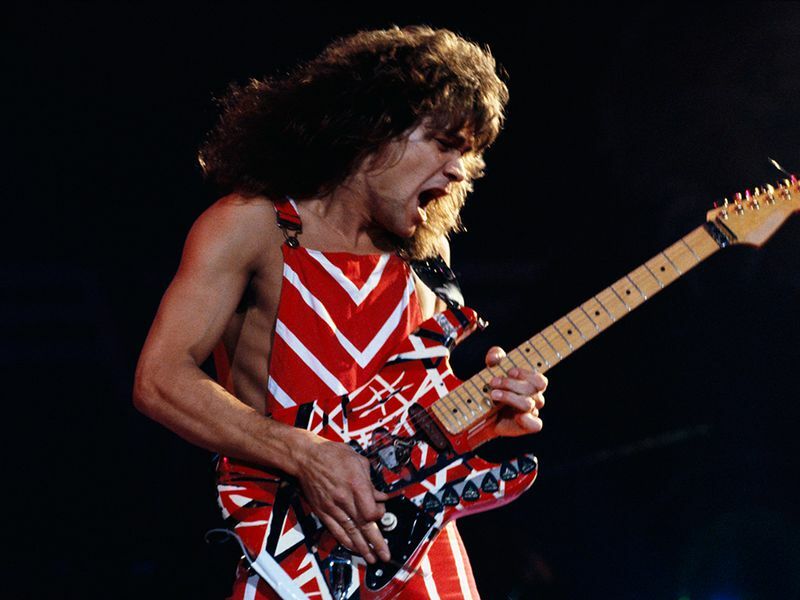 John finished high school before embarking on a career in music. 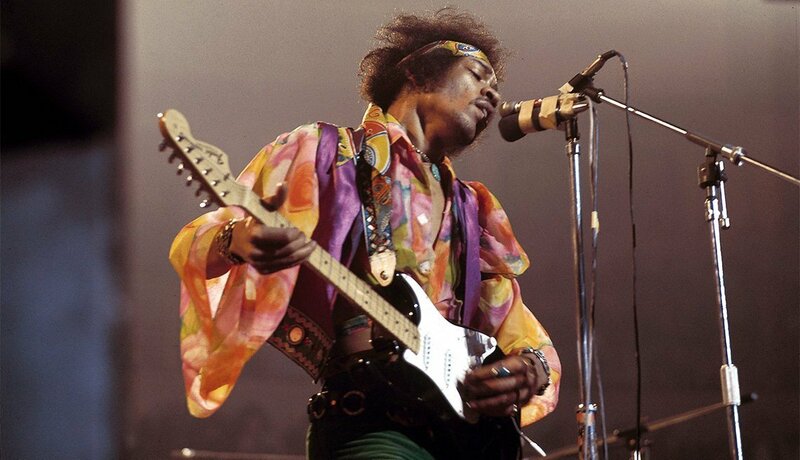 At this time period he was still playing his Gibson B-25 twelve string, but he also acquired another unusual guitar. This guitar was a Gibson B-45-12 that had been converted to an 18 string guitar. Denver was also a talented pilot who loved flying his plane alone. 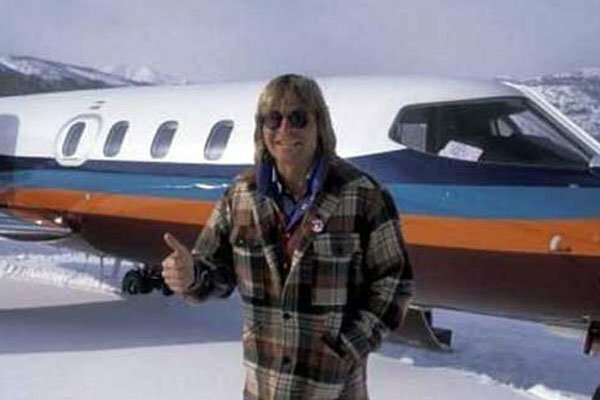 Tragically, John’s love of flying would lead to his death in 1997 when the plane he was piloting crashed. 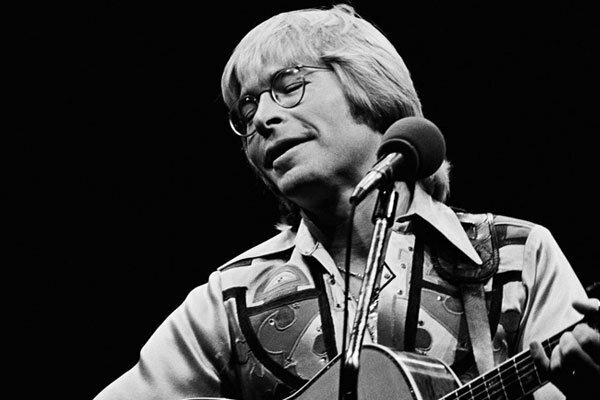 John Denver was 53 years old at the time of his death. At 5:28 p.m. local time, as many as a dozen witnesses saw Denver’s experimental Adrian Davis Long EZ (which he owned) take a nose-dive into the ocean. John Denver’s death was instantaneous. Spirit is a 2002 bronze sculpture depicting John Denver, by American sculptor Sue DiCicco. Originally commissioned by and located at the Windstar Foundation. The Statue was cast at Artworks Foundry in Berkeley, California, and was named “Spirit” by Rolland Smith, who served as master of ceremonies at the unveiling in October 2002. The statue was financed by John Denver fans around the world. John Denver’s Statue now graces the grounds of Red Rocks Amphitheater outside of Denver, Colorado, home to the Colorado Music Hall of Fame. 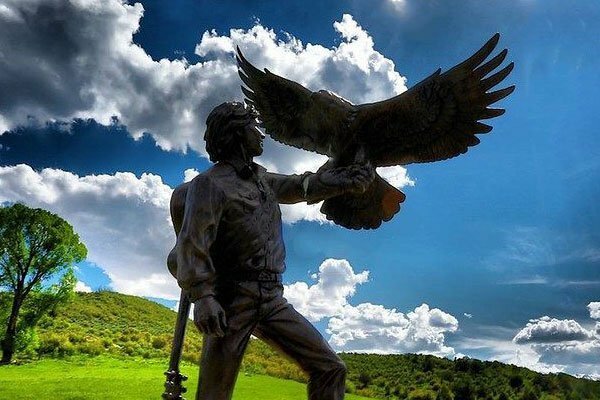 Denver’s statue stands 15 feet tall, and it depicts the conservation activist welcoming a gigantic eagle onto his arm with a guitar strapped to his back. The Photographic Works of John Denver were first exhibited at Denver’s Leon Gallery in January 2014, this show has since traveled to Anderson Ranch Arts Center in Snowmass, Colorado and Substrate Gallery in Los Angeles, California in honor of the dedication of John Denver’s Hollywood Star of Fame. All photographs are for sale on JohnDenver.com exclusively through John Denver’s Estate. These photographs were captured by John Denver during his adventurous and beautiful life are printed in a limited edition of 10. Photo’s can be shipped worldwide. They come matted and framed, with the exception of the open edition prints. These are sold as the prints alone.